Hey Idiots. 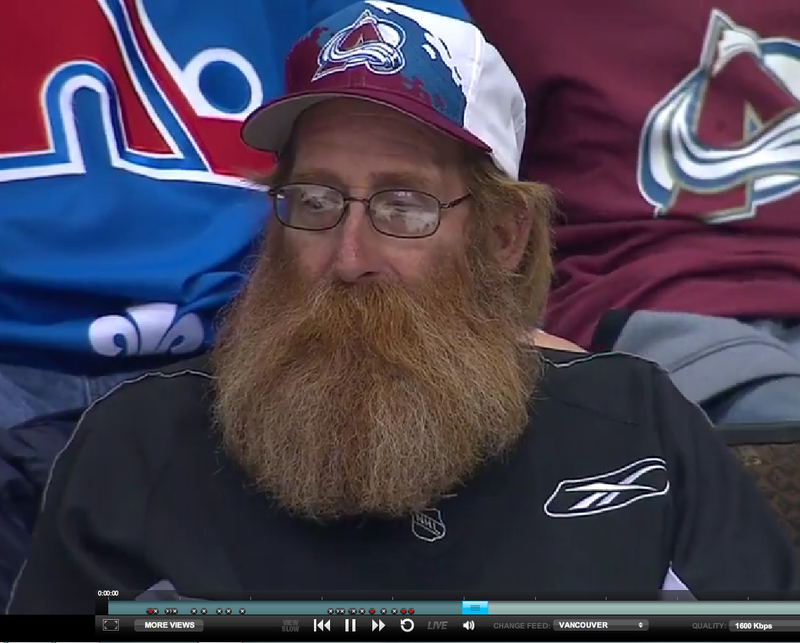 Look at this Crazy Colorado Avalanche Fan. He Will Shave when they win the cup, and not a moment sooner. Thank you very much for asking. I mean, if you like it when a guy passes the puck to himself between the legs, and then backhands a shot to the top of the net. You know, if you’re into that kind of thing.